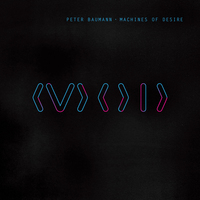 33 years after his latest album, Peter Baumann will release a brand new album called Machines of Desire. The release is scheduled for May 2016. The album will feature 8 new tracks. Machines of Desire is filled with many influences, not least of them, my time with Tangerine Dream. Recording this album has been a very rich experience that fulfilled my creative desires, with more to come. I'm delighted that German record label Bureau B will release the recording in May/June of this year. The title, Machines of Desire, reflects my belief that as human beings we're driven relentlessly by our deepest desires: the desire to experience life and love, to be heard and seen, to connect with others, to be safe, to find meaning and purpose... and countless more. We find ourselves in the drama of everyday life with uncertainty at every step, with fear of loss and existential loneliness, and only occasionally interrupted by the fundamental joy of being alive." I´m looking forward to this release.